For your convenience, we have prepared this map with instruction for easy parking. 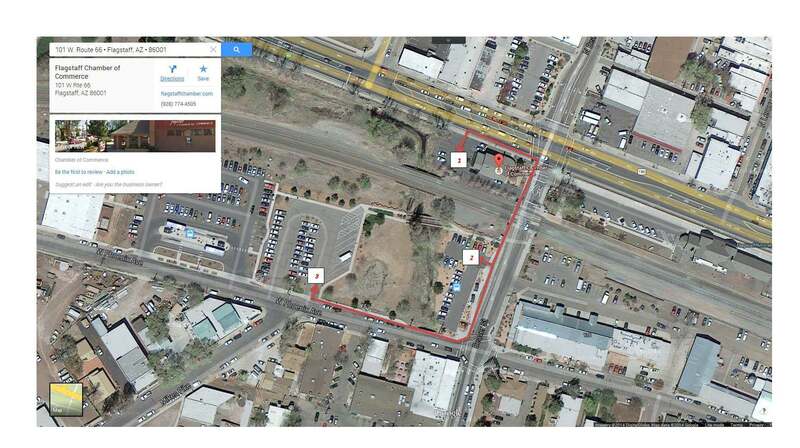 Parking at the Greater Flagstaff Chamber is very limited, so we recommend two other locations within walking distance. Location One: Greater Flagstaff Chamber – Entrance on Route 66 and on Beaver St. Location Two: Public Parking located on Beaver St., South of the Chamber, past the RR tracks. Location Three: RV & Public Parking located on W. Phoenix Ave., One block south of the Chamber, around the corner of Beaver St. and W. Phoenix Ave.
Are you lost? Please call Arvid at 602-694-2841 or Curtis at 602-694-0458 for help getting to the Chamber. Looking forward to seing you at the SSC Global Lunch & Learn.